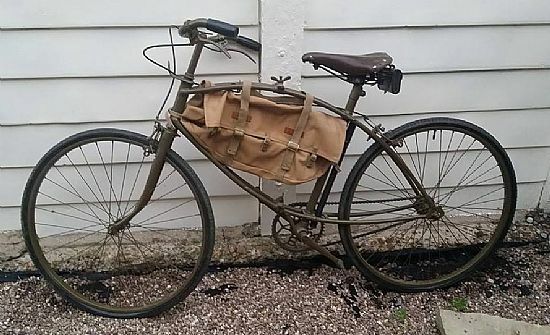 The British WWII Airborne BSA folding bicycle was used from 1942-1945 in the Second World War by British & Commonwealth airborne troops, Commandos and some infantry regiments. 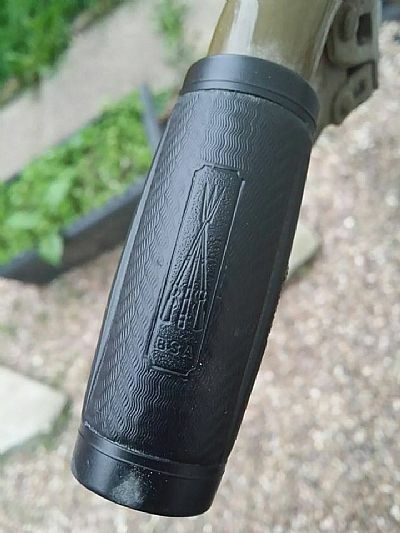 Some were also used as run-abouts on military bases. A folding bicycle was developed as a small size was needed to enable it to be taken on parachute jumps from aircraft or in small gliders. 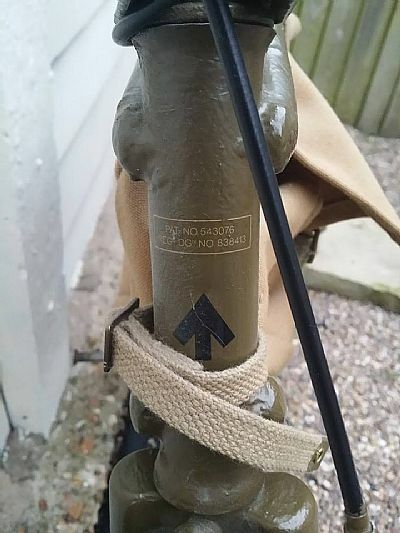 The War Office in 1941 called for a machine that weighed less than 23 lb (this was not achieved - the final weight was about 32 pounds) and which would withstand being dropped by parachute. 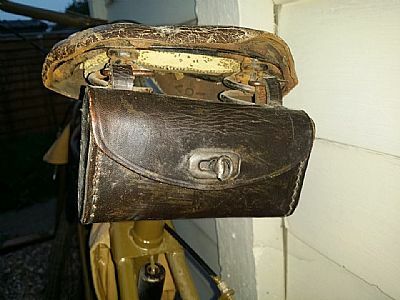 When parachuted, it was rigged to that the handlebars and seat were the first parts to hit the ground as bent wheels would disable the bike. 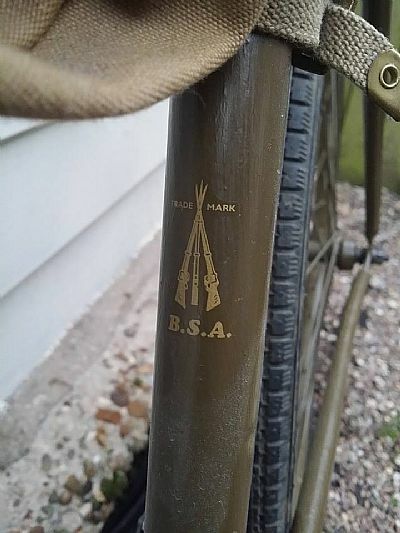 BSA abandoned the traditional diamond design as too weak for the shock and made an elliptical frame of twin parallel tubes, one forming the top tube and seat stays and the other for the chainstay and down tube. 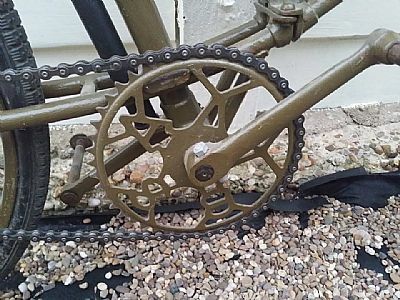 The hinges were in front of the bottom bracket and in the corresponding position in front of the saddle, fastened by wing nuts. The peg pedals could be pushed in to avoid snagging and further reduce the space occupied during transit. 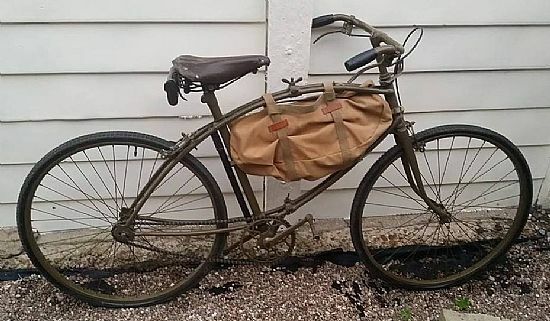 The bicycle was used by British paratroopers, Commandos and second-wave infantry units on the D-Day landings and at the Battle of Arnhem. Many thanks to Paul Brennan for the use of his photographs.